What's The Scariest Car Ever Built? Fear is not necessarily a bad thing. Fear is what kept us from being eaten by lions and teams of badgers and things for millennia. And sometimes it makes sense to have a healthy fear of a car. Some cars just seem like they'd be happier killing you instead of taking you to get more Snapple. So what's the scariest car ever built? I was pretty nervous before driving the Viper TA at Big Willow, but for me, I think the scariest car I can imagine is the Ford 999 racer, built in 1902. Just look at that picture up there and you'll start to get an idea what I mean. The 999 was technically the second specific race car that Ford built, but, really, this was his first no joke racecar. 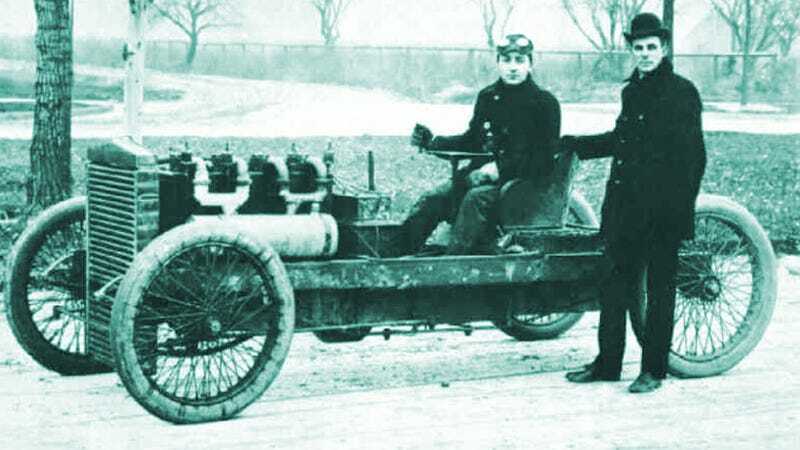 It had an 18.9L — you read that right — four-cylinder engine (those pistons must have looked like bar stools), no differential, no rear suspension, no bodywork, and an iron steering yoke-thing thing that looks like it was designed to shatter sternums and ribs. The car (well, really, there were two 999s) made between 70 and 100 HP (some sources list as low as 50HP) and once set a land speed record of 91 MPH on a frozen lake. Sometimes while driving, a second 'mechanician' would be crawling around the framework, oiling and greasing all the hot metal bits. That sounds terrifying. But so does the whole thing — 90 MPH, no safety anything at all, just bare, hot angle iron and sharp things that make it all look like a big, wheeled, people mulching machine.